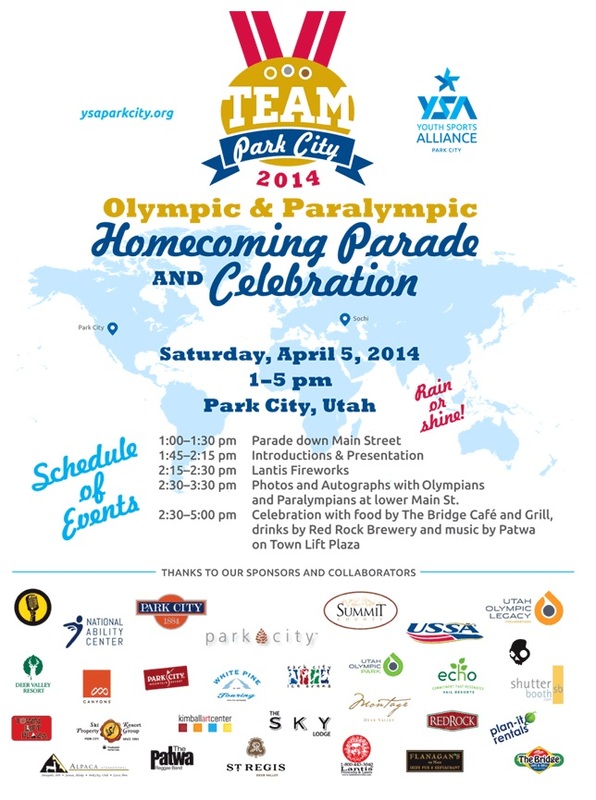 To honor the 2014 Olympians and Paralympians that live, train and coach in Park City, a Homecoming Parade and Celebration will be held on Park City’s historic Main Street, April 5th, from 1-5pm. Over 20 Olympians and Paralympians are expected to participate, including Park City’s hometown medalists Joss Christensen (2014 Freeskiing gold medalist), Steve Holcomb (2014 Bobsled 2x bronze medalist), Ted Ligety (2014 Alpine Skiing gold medalist), and Sage Kotsenburg (2014 Snowboard gold medalist). The parade will be led by Grand Marshal Stein Eriksen, 1952 Alpine Olympic gold medalist and long-time Park City resident. Participants will gather at the top of Historic Main Street at 1pm, and parade down to lower Main Street. The parade will culminate at the Town Lift Plaza and the bottom of Main Street, and will feature Olympians and Paralympians together with local youth athletes from the Youth Sports Alliance Teams, and the Get Out & Play Program. The community is invited to line the parade route, support Park City’s homegrown Olympic talent and join in the post-parade celebration featuring live music, food, beverages and a free fireworks show. All participating Olympians will be available to meet and greet fans, residents and visitors for autographs and photos following the parade. Park City-based Olympians closed out the Sochi Olympic Winter Games with three gold medals, two silver and three bronze medals. 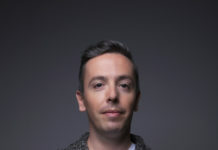 Competing as its own country, Team Park City would have finished 14th in the world medal standings between South Korea and Sweden. Park City-based Olympians include athletes who grew up training here, or moved to Park City to utilize its world-class venues and coaching. The Park City/Summit County-area sent 63 athletes (48 Olympians & 15 Paralympians), representing four countries including the United States, Australia, Ireland, and Paraguay to compete in the Sochi Olympic Winter Games. The event is a collaboration of the Youth Sports Alliance, the Utah Olympic Legacy Foundation, the National Ability Center, Park City Municipal Corporation, the Park City Chamber & Visitors Bureau, Summit County, and the U.S. Ski & Snowboard Association. For more information, please contact the Youth Sports Alliance at events@ysapc.org, 435.214.0792, or visit ysaparkcity.org.